this day in crime history: february 2, 1922 | Nobody Move! 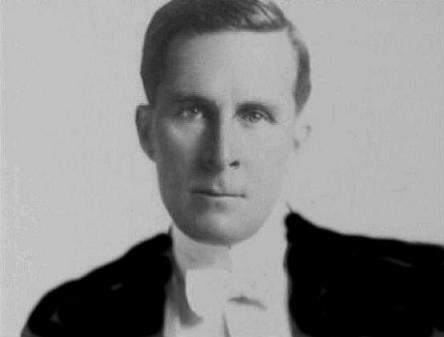 On this date in 1922, film director William Desmond Taylor was found dead in his bungalow in Los Angeles. He was originally thought to have died of natural causes, but when the body was rolled over, a single bullet wound was found in his back. Cash and valuables were found on Taylor’s person, ruling out robbery as a motive. More than a dozen suspects emerged, including Taylor’s valet, his former valet, a studio executive, and several actresses. Police were never able to make a case against any of the suspects. Poor case management led to the loss of much of the physical evidence. Newspapers of the day featured sensationalized stories and rampant speculation about the identity of the killer and the motive for Taylor’s murder. The murder occurred less than six months after the Fatty Arbuckle scandal and helped shape the public’s view of Hollywood as a hotbed of decadence. In 1999, it was revealed that Margaret Gibson, an actress who had worked with Taylor, had confessed on her deathbed in 1964 to having killed Taylor. The confession has never been confirmed. —Seems newspapers didn’t change all THAT much from almost a century ago. At least evidence accumulation HAS gotten better.